Get more customers for your business now, with a Google AdWords Campaign. Customers are searching for your product or service on Google right now, and you need to be sure they can find your business. A Google AdWords Campaign will get your business in front of your customers, right at that moment they are ready to make a purchase. A Google AdWords Campaign will help you grow your business at a budget that is suitable for you. An AdWords campaign needs to be built, managed & optimised to best practices to make sure it runs properly, shows your ads to the right people, and most importantly generates profit for your business. You need a google AdWords Expert & that is where we can help. 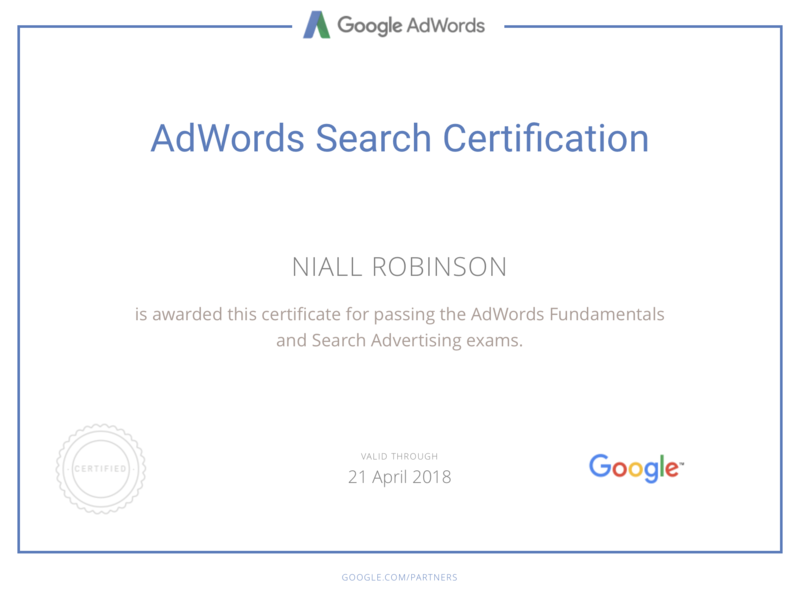 We are a Certified Google AdWords Specialist, and an Official Google Partner. We have a dedicated support team within Google to help manage & optimise our campaigns, so you can be sure your campaign is in good hands! When it comes to managing and optimising a Google AdWords Campaign it is essential to obsess over the details to ensure you are earning a Return on your ad spend. At Social Search we focus on sales, not clicks or web traffic! What use is it to your business if you are getting lots of people to click on your ad, or visit your web site, if they are not going to make a purchase? So we measure the success of a campaign based on profit – not clicks!